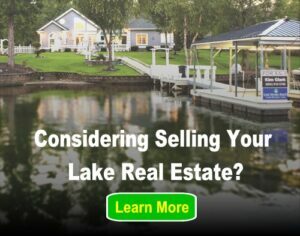 “Is this property still available?” is one of the most common questions we get from visitors to LakeHomes.com. There is great concern about outdated listings of homes for sale. I know why home buyers ask this question, and it has nothing to do with our brokerage or website. Our listings are kept current. Almost always the property we display is available for sale right now. Occasionally a home has just sold and the update is in progress, which may take a day or two. Our listing data is not stale. We update our data directly from a number of MLS servers every day. The reason home buyers are concerned that a property may be an expired listing is because they have been “trained” to be suspicious by websites that don’t keep their data current. Some of these sites are large mass-audience websites, some are personal agent webpages. I would bet that each of these home buyers has previously asked about properties listed online elsewhere as “For Sale,” only to find out the property is no longer available. In some cases, it may have been off the market for weeks or even months! It is unfortunate that outdated listings are this common across the web. I believe this is a disservice to the buyers and the sellers. It wastes time and damages credibility. If Lake Homes Realty, and so many other brokerages too, are diligent in maintaining current real estate listings, why is the web filled with outdated listings of homes, including lake homes? * Some websites are not brokerage websites, they are advertising websites. They display homes for sale that are either manually entered online classified ads or they buy access to bulk real estate data from a third-party. In either case, these organizations are not held to the same standards as brokerages participating in most MLSs. These real estate advertising sites are NOT in the business of selling homes, they are in the business of selling advertising. * A few MLSs are not as diligent in holding members accountable for outdated listings. As one friendly broker in a rural area told me, “Our MLS is the wild, wild west and no one is held accountable.” Fortunately this is the exception, not the rule. But it does happen. * Agent error happens. Often outdated listings are just a simple oversight and once brought to the agent’s attention they are glad to get it updated fast. * Old-school agent games. This is not as common as it once was, but there are still a small handful of agents that believe current data is not important or the rules don’t apply to them. Some may even go so far as to use outdated listings of amazing homes that have already sold as bait to get home buyers to call or email. What they fail to realize is that in an era of technology transparency and limited time, they damage their credibility using a time-wasting tactic from days long past. In the rare instance you find an outdated listing of a property for sale on LakeHomes.com, we want to know about it. We’ll get it resolved. We are a direct member of a number of MLS organizations. In each of these, our brokerage and agents, as well as the other MLS members, pledge to keep listings accurate and current. If there are outdated listings on our site not held by our agents, we’ll still directly contact the listing brokerage and ask them to please get the issue corrected. Correct information best serves buyers, sellers, and agents. No website featuring homes for sale will be perfect. Rest assured we take accuracy very seriously. Our mission is to be THE most convenient way for people to buy and sell lake real estate. Accurate information is an important part of the equation for convenient, high quality service.